Map wall art is an artistic category that displays various areas of the world. Maps have been a traditional method of documenting the perceptions that people have about their world since ancient times. These geographical prints are used to depict a variety of information, including terrain, populations, agricultural strengths, and other important demographic and geographic information. Globe pictures are some of the oldest forms of map wall art These depictions show the entire world, as it's known to mankind during the time of its creation. Geographical prints such as 'Map of the World c. 1500's (antique style)' by Mercator Gerhardt reveal how people viewed the world at that point in time and provide valuable historical insight for modern audiences. Many modern maps depict countries. Country map art, such as 'Map of Italy' by John Douglas, are used for a variety of purposes. While many of these maps are decorative, some are also used to depict important information about the country, including major cities, land masses, and demographic details such as agriculture or population. 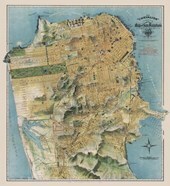 Maps are often used as educational posters. These geographic prints help to educate students about different countries and cultures, as well as providing greater insight into the structure of the world they live in. Unlike other education posters, whose use is determined by age and subject matter, map wall art can be useful to students of nearly any age or educational level. 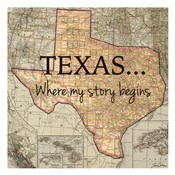 Are you a lover of geography, topography, or a country? Look no further, we have an amazing selection of all kinds of maps! 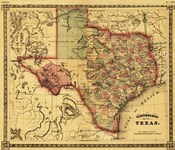 Some of the map wall art prints we carry include antique maps, fine art maps, historical maps, regional maps, and more.